The spectacular sights and sounds of Lightwire Theater (Feb. 20 at The State) ultimately began with young talent and innovation. At the age of 13, creators Ian and Eleanor Carney met in New Orleans through a ballet class. Their successful dancing careers took them to New York where Ian met co-creator, Corbin Popp, while dancing in Twyla Tharp’s Movin’ Out on Broadway. An immediate connection was made as they discovered their mutual love of art, theater and technology. After coming across a product called, “el wire,” the lights turned on and the possibilities seemed endless. Together, with their wives Eleanor and Whitney, they began to experiment with shapes and designs to develop puppetry-based neon creatures that quickly came to life. 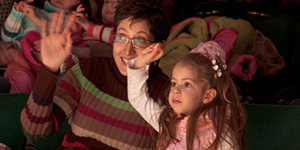 CORBiAN Visual Arts and Dance was ultimately founded after years of engineering and development. Shortly following Hurricane Katrina, Ian and Eleanor returned to New Orleans with the hopes of helping to rebuild their city. They were joined by Corbin and Whitney Popp and eventually founded the renowned Lightwire Theater. The process of building Lightwire Theater’s electroluminescent characters starts with the creators and the cast. They build everything themselves from the ground up, with each sculpture taking nearly 200 hours of intensive labor. They utilize recyclable materials including aluminum rods, election signs, skate board wheels, dryer ducting, plumbing supplies, PVC pipes, fishing poles, duct tape, zip ties and back packs to help define peaks and angles. These common household items create durable and pliable sculptures that can withstand the movement of the dancers and multiple performances. Black fabric is added to the sculpture for dimension and then lined with electroluminescent wire known as “el wire.” Unlike black lights, “el wire” can be powered by batteries, requires no theatrical lighting, and gives a 360-degree of glowing light. The result is anything your inner-child can dream of including 16-ft. tall birds, dinosaurs, ducks, and soldiers! Lightwire Theater has become internationally recognized for their signature brand of electroluminescent artistry, poignant storytelling, and music scores designed to evoke imagery. Lightwire Theater creates and delivers innovative theatrical experiences to audiences worldwide based out of New Orleans, LA. 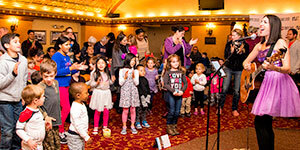 On State Theatre New Jersey Family Day, Lightwire Theater will present Moon Mouse: A Space Odyssey, where Marvin the mouse struggles to fit in with the “popular” mice in school. Retreating into his science books, he dreams up a world of fantasy where he is the brave hero. He sets off on his homemade rocket for the space adventure of a lifetime—a trip to the moon! While on this cosmic adventure Marvin encounters an assortment of unusual creatures. This wondrous electroluminescent production by Lightwire Theater celebrates the differences of over 40 delightful characters with a variety of music from pop to classical. 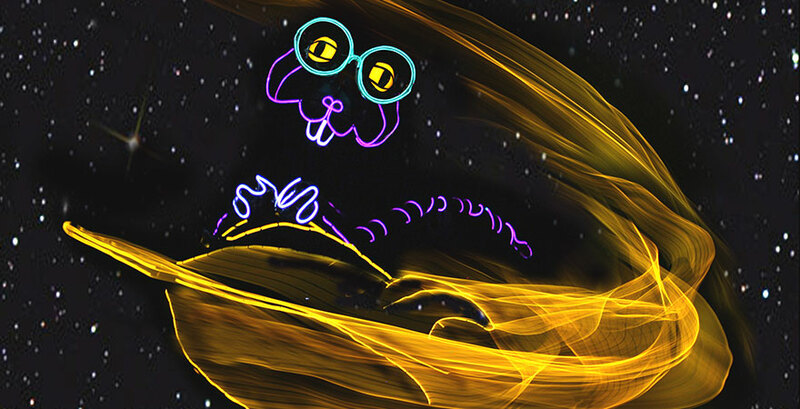 Experience a cosmic adventure at State Theatre New Jersey Family Day with Lightwire Theater on February 20, 2017!